A formal complaint has been filed with the Irish Data Protection Commission against IAB Europe, the tracking industry’s primary lobbying organization. Dublin, Ireland, 3 April 2019 — a formal complaint has been filed with the Irish Data Protection Commission against IAB Europe, the tracking industry’s primary lobbying organization. Paragraph 3 sets out three causes for concern. 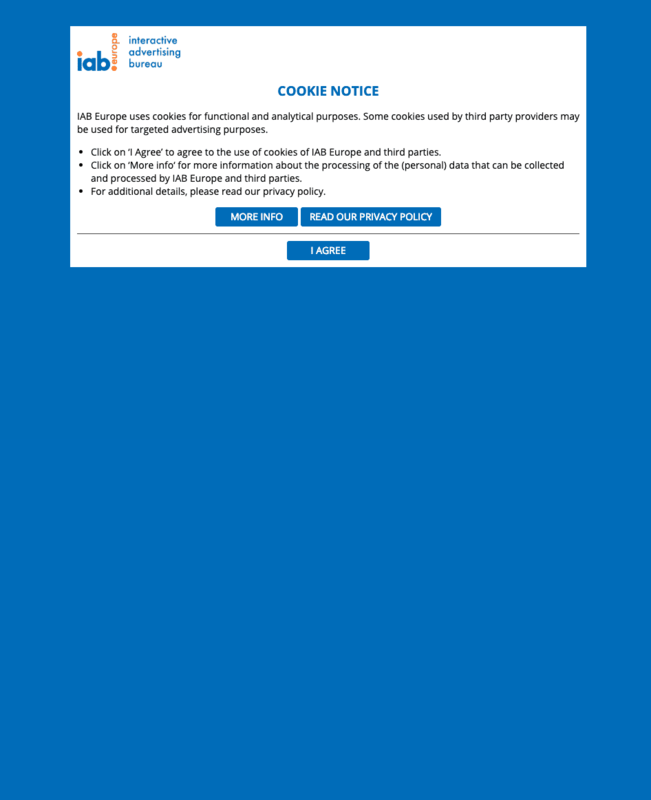 …Dr Ryan’s personal data was unlawfully processed by IAB Europe as a result of the IAB Europe cookie wall on its website. iii. IAB Europe has put itself forward as the primary designer of the online advertising industry’s data protection notices, and has widely promoted the notion that access to content can be made conditional on consent for data processing that is not necessary for the requested service to be delivered. This makes our client’s complaint one of both a systemic, as well as personal, nature. i. Issue a formal decision in response to our client’s complaint. ii. To invoke its powers under Article 58 of the GDPR to order IAB Europe to cease processing any personal data collected or obtained, and in all instances where IAB Europe relies on the complained-of cookie wall consent to give colour of law to such processing. iii. If required, to seek mutual assistance under Article 60 et al of the GDPR from the DPA of IAB Europe’s jurisdiction of establishment, Belgium. iv. Open a systemic investigation of the compatibility of IAB Europe’s guidance on the issue of cookie walls with EU Data Protection laws. IAB Europe does not provide information about what data are collected for what purpose, and what legal basis is relied on for that purpose. IAB Europe’s policy notice says “we may rely on one or more of the following legal bases, depending on the circumstances”. It is therefore not possible to for a visitor to the website to know what legal basis is used for what purpose. Nor does IAB Europe provide information about which data are collected for what specific purpose.